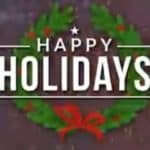 Kendall Volkswagen of Anchorage would like to wish you and yours a very happy holiday season, and thank you for making us a part of your community. Kendall Volkswagen of Anchorage wants to send you to the Traxxas Monster Truck Tour at Sullivan Arena! Click here to enter to win FOUR tickets to this very special event on May 11. The monster truck lineup includes Bigfoot, Skully, Craniac, X-Maxx, and The Champ! Enter today, because this contest ends May 8!